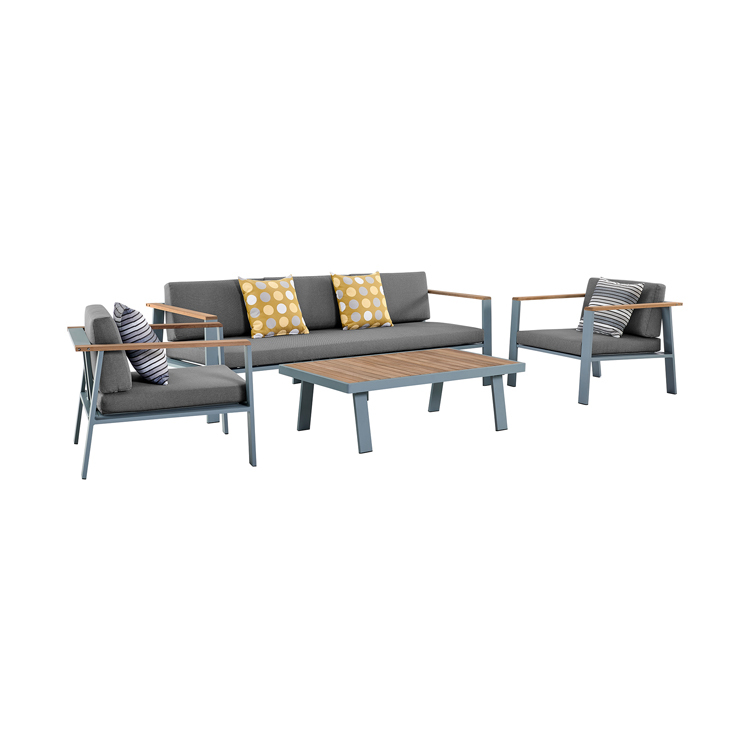 The Armen Living Nofi contemporary 4 piece patio set is an elegant ensemble of items that is certain to enhance the beauty of any modern outdoor seating arrangement. 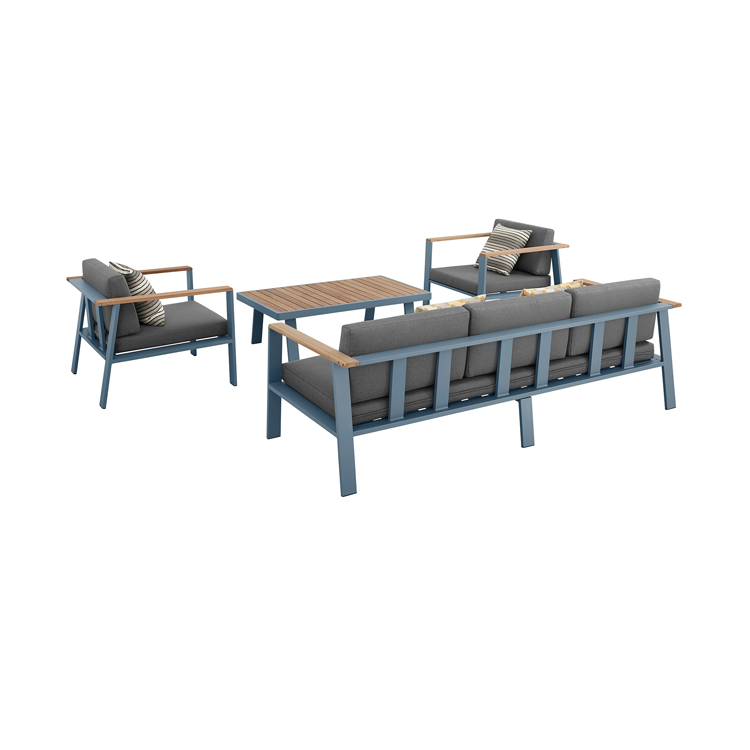 Featuring 2 arm chairs, 1 three-seater sofa, and 1 coffee table, the Nofi is an ideal arrangement for comfort and aesthetic balance. The beautiful Nofi coffee table features an aluminum frame complemented brilliantly by a sturdy teak wood top. 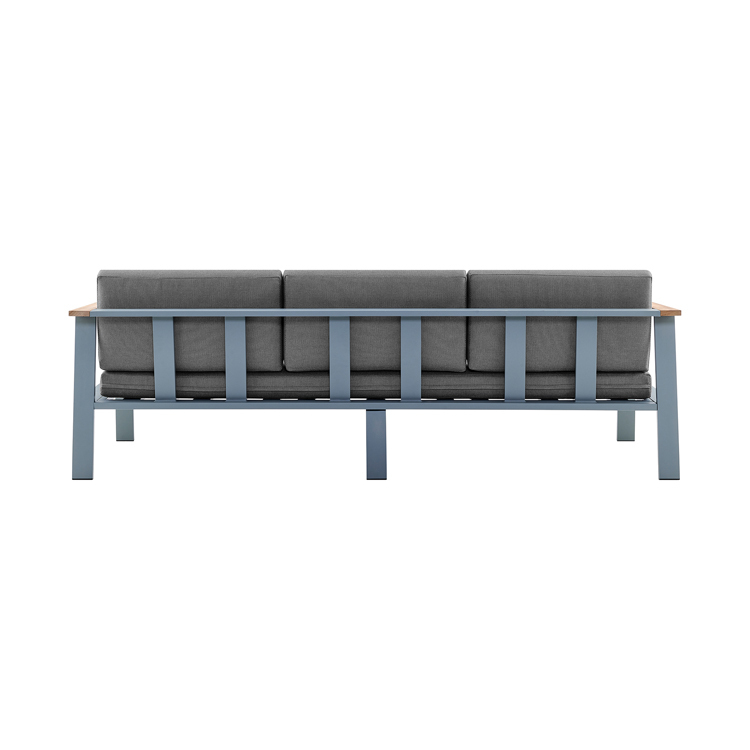 The same teak wood is used to accent the arms of the sofa and arm chairs to enhance aesthetic cohesion. 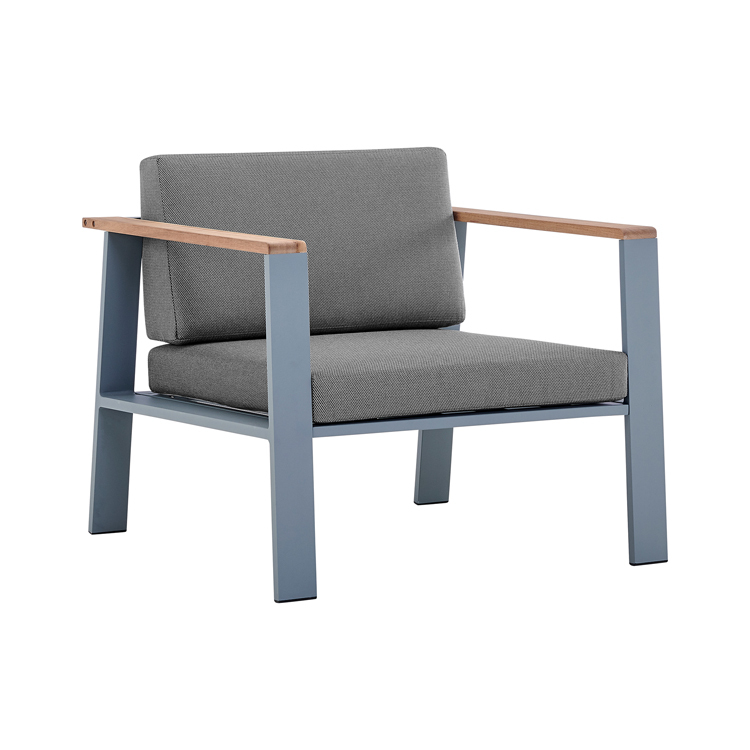 The olefin upholstered arm chair and sofa cushions feature foam padding and are water, chemical, and fade resistant. 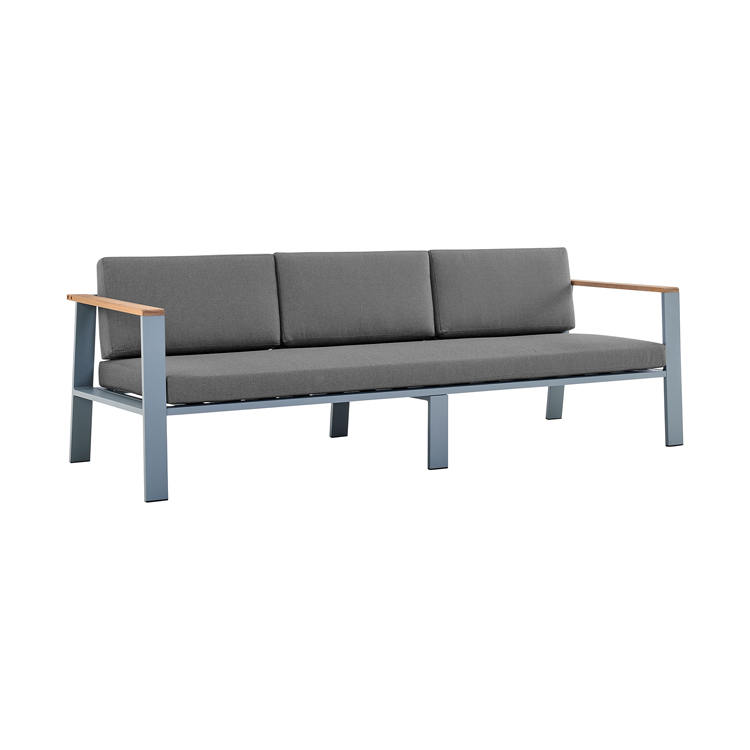 The Nofi set also comes with 4 throw pillows for added comfort and support. 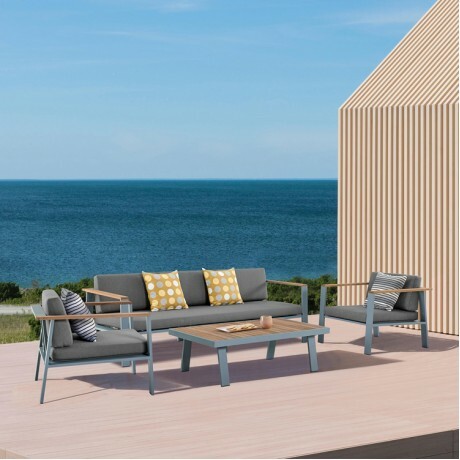 The lightweight Nofi outdoor patio set is available with your choice of charcoal finish with taupe cushions or gray powder coated finish with gray cushions.